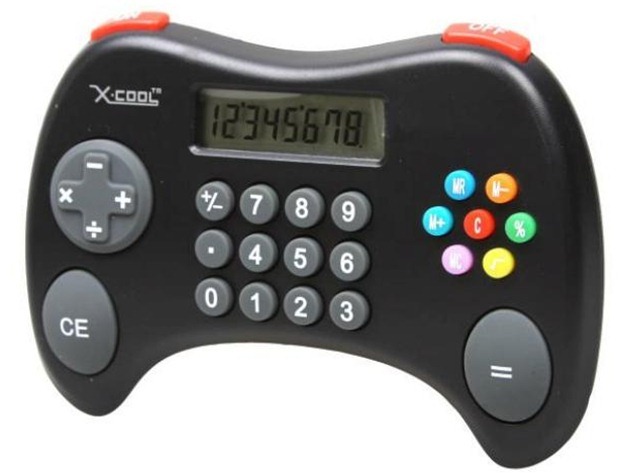 Shaped like an Xbox controller, you’ve got a D-pad with add, subtract, multiply, and divide keys, number pad right in the middle of everything, functions on the right, and big fat CE and equals buttons. Oh and the shoulder buttons correspond to on and off. It’s $13 from an Australian store. The product page says that it’s almost sold out, which makes perfect sense since this product is somehow so dumb it’s cool.